Ecoheat is a solar air heating system that reduces energy costs and environmental footprint. Ecoheat is an innovative solar air heating system that is powered by the sun's energy. It is like bringing the sun indoors and is quite simply the most pure form of heating. Picture this – you’ve traipsed through the winter chill to make it home after a long day at work. You open the door to a fresh blanket of toasty warm air that’s been flushed into your home by the power of the sun. Your family is warm, your air is clean, and your energy bills are low. How? It’s called Ecoheat and it’s the clever solar air heating system you’ve been looking for. This technology harvests the sun’s energy through solar collector panels that are mounted on your roof. This natural energy is delivered straight to your home as fresh, warm air. In summer, Ecoheat acts as a ventilation system providing fresh, cool air during the evening. Ecoheat works as a standalone system in mild climates, and supplements traditional set-ups in more extreme climates. 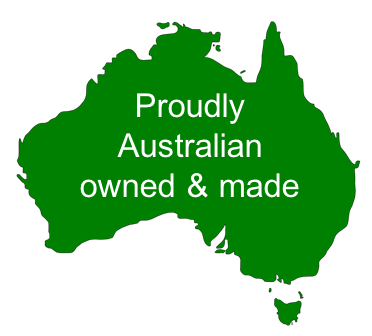 Ecoheat is a 100% Australian owned company and our product is proudly designed and manufactured in Australia. Ecoheat has been tested and optimised through a partnership with the University of Wollongong's Sustainable Buildings Research Centre. Heat energy is often overlooked in renewable energy, however solar air heating (also known as solar space heating) represents a substantial way to curb conventional energy use and greenhouse gas emissions. Education and awareness around the use of solar air heating and its multitude of benefits is lacking and an area where government support is needed. The widespread adoption of solar air heating is an essential item in the toolkit to helping tackle climate change and there are calls for it to be become more of a focus point in legislation. By offsetting the use of traditional heating methods, solar air heating targets one of the largest single energy uses in the building sector – and corresponding CO2 emissions. All too often our customers ask us how it is possible that as educated and informed people they were not aware of such a clever, yet simple and innovative way to reduce their energy costs and environmental footprint. Our response is that we are working on building the awareness of solar air heating and that they can help by telling their friends and family about the many benefits of Ecoheat. Ecoheat and our parent company Paterson Eco Pty Ltd are proudly 100% Australian owned and our products are manufactured right here in Australia with the highest quality materials and workmanship.